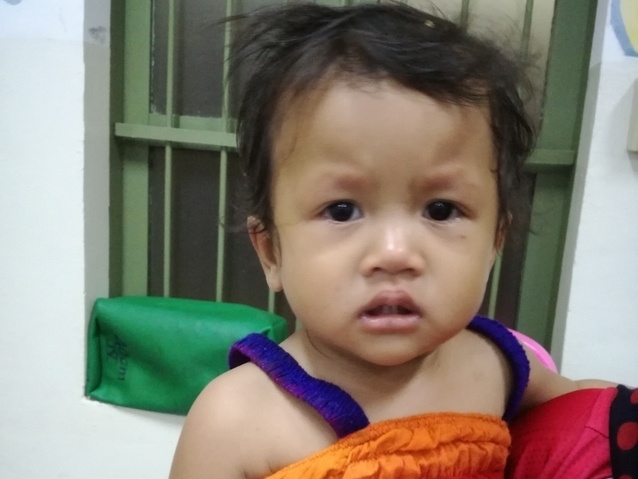 Pharin is a baby from Cambodia who needs $390 to fund hip surgery. Pharin is a baby from Cambodia. Three months ago, Pharin’s mother noticed that one of her daughter’s legs was shorter than the other as she began walking. Surgery will help correct the position of Pharin’s hip bone, preventing any further worsening of the condition as well as allowing Pharin to walk and stand comfortably as she grows older. Surgery is scheduled for March 13 and will cost $390. Pharin's case was submitted by Lindsay Bownik at Children's Surgical Centre in Cambodia. Pharin was submitted by Lindsay Bownik, Stakeholder Relations Officer at Children's Surgical Centre, our medical partner in Cambodia. 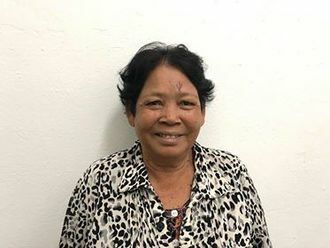 Pharin received treatment at Kien Khleang National Rehabilitation Centre. Medical partners often provide care to patients accepted by Watsi before those patients are fully funded, operating under the guarantee that the cost of care will be paid for by donors. Pharin's profile was published to start raising funds. Awaiting Pharin's treatment update from Children's Surgical Centre. Pharin is currently raising funds for her treatment.